Read all about us in this story that starts where we started. Then follow us through our many adventures and meet our many friends. We will update this story with a new chapter about once a week. Enjoy and keep reading! Every story has to start somewhere. Our story starts in the Enchanted Forest. Once upon a time there were three bears... No, not those bears! 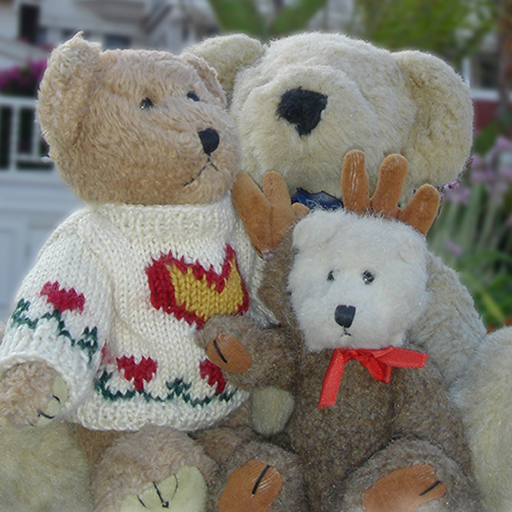 These bears became friends in the Enchanted Forest and have been life long friends ever since. The Enchanted Forest is everything you could imagine it to be and a lot more; oh, a whole lot more. You can't actually find this magical place on a map. You can't actually go to this most mysterious and wonderful place. No, you need to be born in the Enchanted Forest. Go to our book section to see a lot of our adventures in full color!